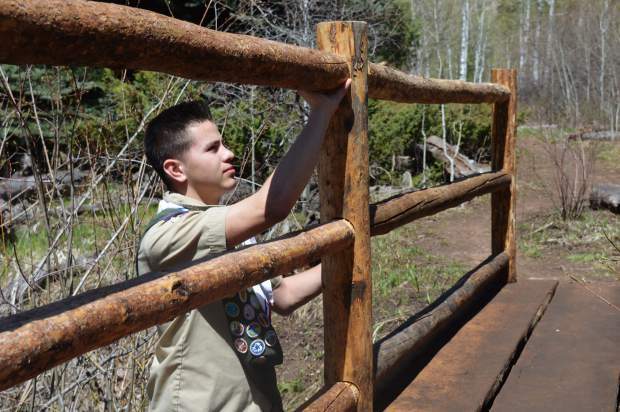 Along with Scouts and leaders from Troop 222 in Eagle, Abraham Luevano worked with Peter Suneson of the Walking Mountains Science Center for his Eagle project, a bridge that spans a creek along one of the Walking Mountains hiking trails. Suneson is also an Eagle Scout. $1.1 million: Money to be spent from Eagle County’s voter-approved and tax supported open space fund. $1 million: Donation by the Tang Family and Buck Creek Partners. $1.7 million: Still to be raised. 5.8 acres: The total acreage to be purchased. 1 acre: Where walking Mountains Science School will build staff housing. 1.3 acres: Unbuildable flood plain and wetlands. 3.5 acres: Total new open space. Buck Creek Partners owns it. 96 acres: Land already zoned as open space and owned by the town of Avon, and added to the deal. Conservation easement: The Eagle Valley Land Trust will manage the conservation easement covering all the parcels. 1 acre: Land owned by Kristin Tang between the Science School and the 5.8 acres the county’s open space fund is buying. It’s not part of this deal. Nov. 14: The date the county’s Open Space Advisory Committee is scheduled to make its recommendation. AVON — Eagle County is poised to spend $1.1 million to help keep 3.5 acres from being developed near an outdoor education center. Those 3.5 acres are part of an effort by Walking Mountains Science Center to keep 5.8 acres from being developed in a commercial/residential area, just downhill from the center. The land was zoned for 31 high-end townhomes. The decision comes as the county commissioners are asking Eagle County residents to tax themselves to pay for workforce housing. The land won’t be completely workforce free. On one acre, Walking Mountains is planning to build housing for some of its staff, if the plan unfolds as it’s currently designed. To sweeten the deal, Avon is adding 96 acres the town owns, land already zoned as open space: 71 acres on one side on one side of Walking Mountains and 25 acres on the other. The open hillsides above Walking Mountains are part of the Mountain Star development and U.S. Forest Service land. Both Avon’s and Mountain Star’s open space, as well as the 3.5 acres will be under a conservation easement and cannot be developed, said Markian Feduschak, president of Walking Mountain Science Center. The county’s Open Space Advisory Committee was originally hesitant about the deal. The county’s original proposal asked for matching money from Avon. The town said it wanted to support the project, but did not want to put in any cash. Avon offered its adjoining land, making the whole package around 100 acres that will be permanently protected, said Toby Sprunk, Eagle County’s open space coordinator. “The town is not contributing dollars, but is contributing conservation easements on about 96.5 acres,” Sprunk said. A conservation easement is a permanent liquidation of the town’s rights to do anything on that land, beyond trails and the occasional utility easement, Sprunk said. “If the town of Avon did not support this, we’d probably have a different perspective about it. They’re the land use authority in this area and they think it’s a great idea,” Sprunk said. That $1.1 million was the largest line item in a supplemental spending package that Eagle County commissioners Jill Ryan and Kathy Chandler-Henry worked through Monday morning. Avon’s hillside open space property is not really appropriate for housing, the county commissioners said. Affordable housing and open space are not mutually exclusive concepts, Sprunk said. “One hundred years from now, our counterparts will be having this same conversation. The question is whether or not we have saved the last best places, the pieces of land that really define our community as a livable place,” Sprunk said. Sprunk used to teach at the Keystone Science School in the 1990s. The deal has been in the works for a year and a half, Sprunk said. The county’s $1.1 million will be added to a $1 million donation from the Tang family. The balance of the $3.8 million will be raised through private dollars, Feduschak said. The Tang family donated the five acres where Walking Mountains is located. The center was part of the original development plan. The family still owns one acre between the center and the 5.8 acres. So far, the plan is to build a Montessori school there. Walking Mountains is running at capacity with plans to expand on a building site on their property, Feduschak said. Having 31 townhomes next door would change the educational experience, Feduschak said. “We had always viewed this property as potential open space. Its value for us is its educational value,” Feduschak said. 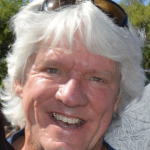 Those 31 lots were to be sold for $150,000 each, which makes the undeveloped land worth $4.65 million on the open market, and pushing the cost of the proposed townhomes well above the affordable range, Feduschak said.